Pretty remarkable how consistent our summer rain has been over the past 22 years (since 1996). Can’t continue forever, as we know. 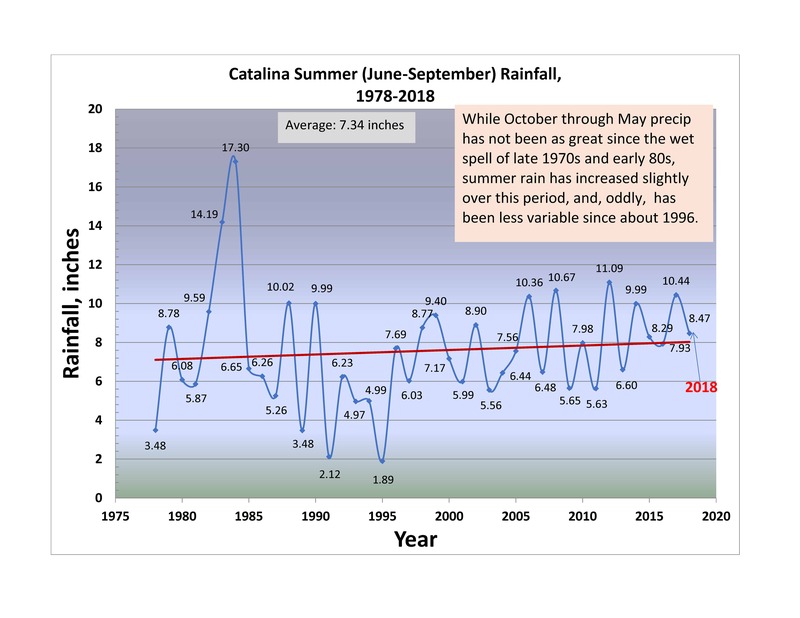 Notice, too, that our summer rain has increased slightly (red trend line) over 41 years. Can’t really count on that continuing, either. Still pretty much in a blog hiatus, as I work on science stuff–“manuscripts” (reviews, histories, critiques)……to submit to actual peer-reviewed journals. Best to have peer-review literature since almost everything else is ignored, even if its accurate and well-researched; it can’t really be cited in peer-reviewed pubs. Welcome back, Art! I was wondering earlier today, if I’d ever see you again on the screen. Intresting to see you have a trend toward wetter summers (at least til now). It’s the other way around here. In 1995, folks looking at the recent trend must have been worried. Good luck with the research papers.